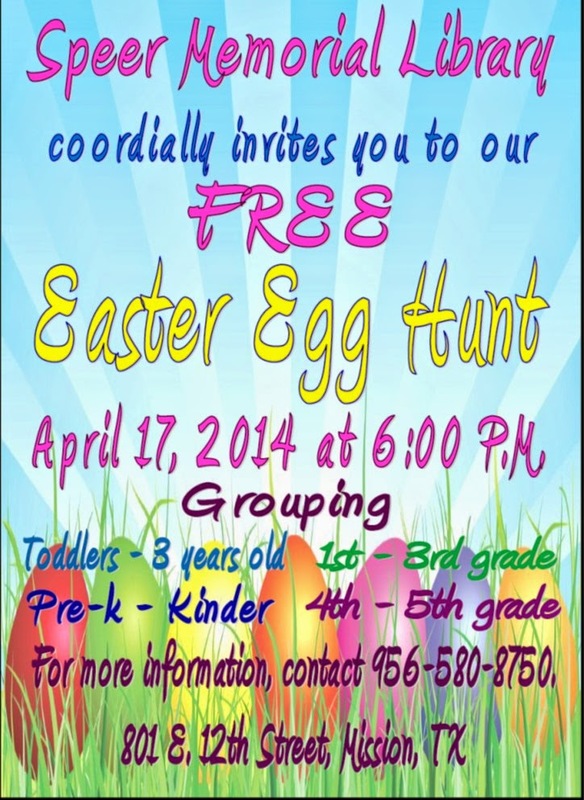 The +Mission Speer Memorial Library will host an Easter Egg Hunt on April 17 at 6 pm. Children in the community up to 5th grade are invited to attend this event. The event is Free to all attendees. You can request more information by visiting their Facebook page at https://www.facebook.com/SpeerMemorialLibrary, or calling 580-8750.